Book through Klook and experience the thrills of skiing around the Aletsch Arena in the Matterhorn region in Switzerland! Are you going to Central Switzerland during the winter season and looking to take on an exciting undertaking? Then you should know that there’s a magnificent glacier there that’s designated as a wonderful spot for skiing and for other exhilarating winter sports. Book through Klook and go on an adventure to visit the Aletsch Glacier and its arena to experience skiing around its picturesque snowscapes! Even if you’ve never skied before, there’s nothing to worry about because this activity was designed to be suitable for those without prior experience. 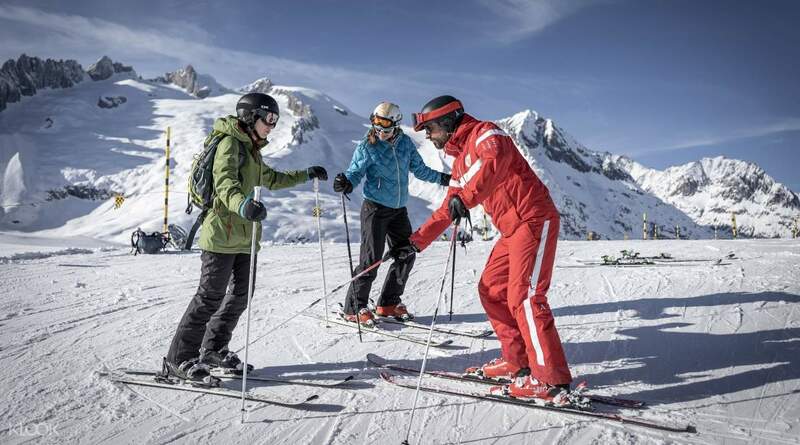 You’ll be accompanied by veteran skiers, who will teach you the basics of skiing. They will keep an eye on you, ensure that your skiing experience goes smoothly, and provide assistance when needed. Once you’re confident in your ability to ski, you can revel in the joys of sliding down the lush snowy slopes of this UNESCO World Natural Heritage! The glacier is also the home of the Mao’s Moosfluh viewpoint, an overlook that’ll give you spectacular views of the landscape below. If you have time before or after the skiing experience, make it a point to visit it! This is a must-book activity for any adventurer going on a trip to Switzerland, especially for those eager to experience skiing. 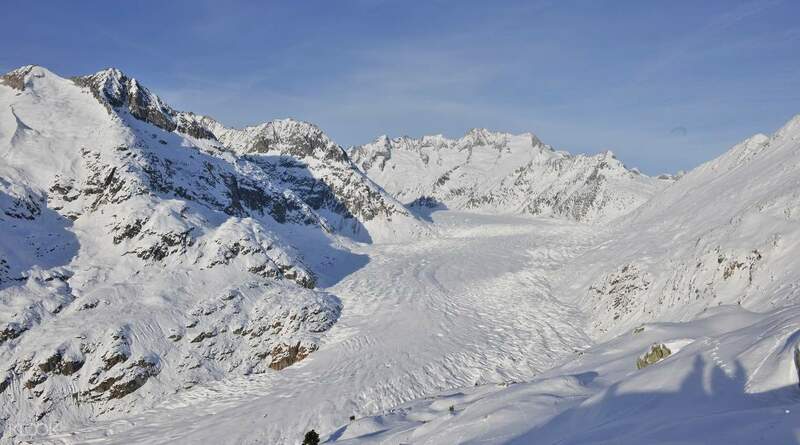 Book through Klook and experience skiing around the gorgeous snowscapes of the Aletsch Glacier! Direct train connection with the Matterhorn Gotthard line (MGB) via Brig and Göschenen to the train stations of Mörel (100 metres from the cable car).